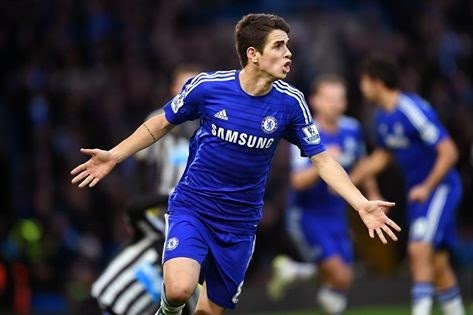 Chelsea 2-0 Newcastle: Quick thinking and a better second half take us two points clear. Ask any Chelsea fan this morning about the game yesterday and they will admit that our first half performance wasn't good enough. However, some quick thinking late in the first half and a much better second half was enough to take three important points! Whether it was the hangover from the disaster at White Hart Lane or if the players are still feeling the effects of the busy Christmas period, Chelsea weren't at the races by any stretch of the imagination in that first half against an impressive Newcastle side yesterday. Newcastle came to the Bridge playing some really good football and created far more chances than all of us were comfortable with. But for Petr Cech in goal (for the slightly injured Courtois) and the fact that the visitors failed to capitalise on some good chances, Chelsea could have been at least two goals down. In addition, Cesar Azpilicueta picked up what looked like quite a bad muscle strain which is worrying! However, they say a sign of a good side is to take their chances when they aren't playing well and we did exactly that late in the first half. Chelsea won a corner and as the Newcastle players took their eyes off of the ball, Willian took it quickly and played Ivanovic in down the byline into the box. As he was closed down, he flicked a pass between the defence back across the area and to Oscar he strode onto the ball and slotted the ball home from 12 yards to make it 1-0. I think all of us would have thought that the boss would not have been pleased with our performance despite the 1-0 lead at the break and it seems as though that was exactly the case. Jose was very clear to the players what he wanted from them to improve and the players did that, they responded very well. Jose wanted the team to press further up the pitch and to be mentally more aggressive and assertive with or without the ball and to play at a quicker tempo and they did that. Chelsea were much better and really began to play some good football. We never created as many chances as we have in other games at the Bridge or during the course of the season so far but Diego Costa took the chance to score his 15th goal of the season and Chelsea's second on the day to all but seal the three points on around the hour mark. Some fantastic interplay between Eden Hazard and Oscar (with a deft flick first time, between his legs straight into the path of Costa's run across the box) fed Diego Costa and he moved the ball towards the centre of the box and drilled a low shot into the left hand corner giving Krul no chance. 2-0 Chelsea and game over! Costa was at it again later in the half this time cutting across the box from right to left, taking on and beating three defenders but could not strike the ball clean and it was easy for Newcastle to deal with. I like to focus on the positives despite a worrying first half. The fact that it took us a while to get going but we still kept a clean sheet and won the game was key for me. Also the fact that we responded to the manager and produced a better performance was good. Manchester City drew 1-1 with Everton and fall two points behind us as we won our 10th home game in a row. 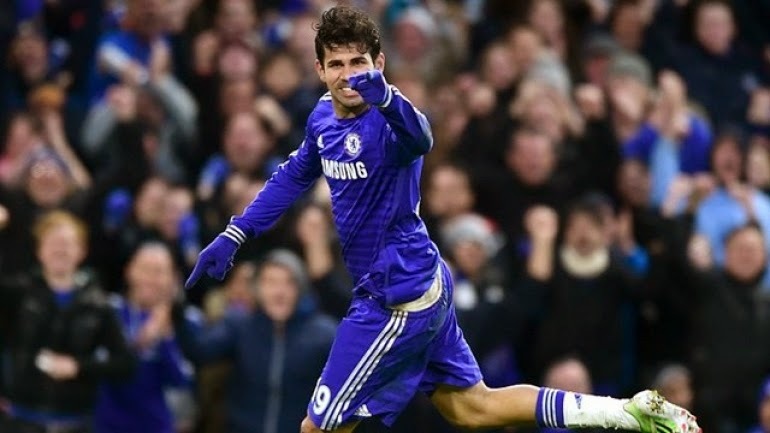 After the nightmare at White Hart Lane, Chelsea have responded with two good wins against Watford and Newcastle. Onwards and upwards!